We are proud to present our 0814 pile of dollars for finance graphics for powerpoint. This image displays a pile of dollars on white background. This image of dollar bundles is designed to represent concept of finance and money. This unique image makes your presentations more professional. Presenting hand holding money notes presentation background images. 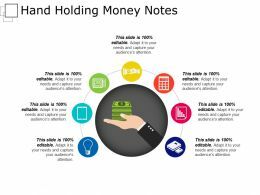 This is a hand holding money notes presentation background images. This is a one stage process. The stages in this process are hand holding, support, assistance. 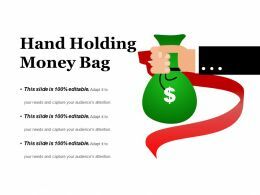 Presenting hand holding money bag presentation backgrounds. This is a hand holding money bag presentation backgrounds. This is a two stage process. The stages in this process are hand holding, support, assistance. 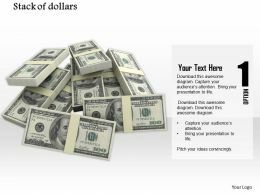 "Microsoft PowerPoint Template and Background with 3d rendered illustration of many blue man icons around money bundles"
"Microsoft PowerPoint Template and Background with Golden US dollar signs bursting out of cardboard box. Illustration on white background"
"Microsoft PowerPoint Template and Background with stock chart with change"
"Microsoft PowerPoint Template and Background with Financial balance. Stable equilibrium. 3D image. Illustrations". "Microsoft PowerPoint Template and Background with Two puppets with empty wooden box. Over white"
"Microsoft PowerPoint Template and Background with rendered clamp and 3d dollar (conceptual illustration)"
"Microsoft PowerPoint Template and Background with One Dollar Bills Hanging From a Rope Held By Clothespins"
"Microsoft PowerPoint Template and Background with puzzle pieces - 3d render"
Microsoft PowerPoint Template and Background with globe and american money on white background"
"Microsoft PowerPoint Template and Background with Money and key in box isolated on white background "
"Microsoft PowerPoint Template and Background with Money Bags with Dollar symbol isolated on white"
"Microsoft PowerPoint Template and Background with Dollar bills on green flower. Money flower "
"Microsoft PowerPoint Template and Background with Dollar bills chart in black background "
"Microsoft PowerPoint Template and Background with Open box with dollars on white background "
"Microsoft PowerPoint Template and Background with some dollar plants growing on a plantation "
"Microsoft PowerPoint Template and Background with Plant grows out from an egg full with coins. Concept of investment generating wealth making money"
"Microsoft PowerPoint Template and Background with One dollar bill as staircase on white background "
"Microsoft PowerPoint Template and Background with Digital illustration of dollar sign in color background "
"Microsoft PowerPoint Template and Background with Golden dollar symbol with piggybanks isolated over white"
"Microsoft PowerPoint Template and Background with statistic graphic with golden coins"
"Microsoft PowerPoint Template and Background with Financial diagram consisting of gold penny "
"Microsoft PowerPoint Template and Background with Digital of the Dollar sign in light glow "
"Microsoft PowerPoint Template and Background with Pendulum with dollars swinging into eachother "
Microsoft PowerPoint Template and Background with Falling euro coins. 3d graph with negative growth pointing in the downwards"
"Microsoft PowerPoint Template and Background with scissors cut U.S. dollars"
"Microsoft PowerPoint Template and Background with An illustration of robot holding 3d Dollar symbol"
"Microsoft PowerPoint Template and Background with all is well with our future stock market"
"Microsoft PowerPoint Template and Background with illustration, globe revealled on equator with dollar"
"Microsoft PowerPoint Template and Background with golden dollar sign in fully editable vector format"
"Microsoft PowerPoint Template and Background with Gold money bag with coins and one hundred dollars, isolated on white"
"Microsoft PowerPoint Template and Background with Fan of hundred dollar bills of cash money"
"Microsoft PowerPoint Template and Background with Digital illustration of Dollar sign with digital light color background"
"Microsoft PowerPoint Template and Background with Young African American professional man in money "
"Microsoft PowerPoint Template and Background with Save and control your money properly since money can fly away easily"
"Microsoft PowerPoint Template and Background with usb money"
"Microsoft PowerPoint Template and Background with Clock and banknotes. Time is money concept"
"Microsoft PowerPoint Template and Background with a green button inscripted the words save money"
"Microsoft PowerPoint Template and Background with time is money and hourglass on scale"
"Microsoft PowerPoint Template and Background with Egg in nest with bill and coins "
"Microsoft PowerPoint Template and Background with the brass dollar symbol emerging from a simple internet browser window showing html"
"Microsoft PowerPoint Template and Background with A smiley face clock cap with hundred dollar bills on a beige background increased education costs"
"Microsoft PowerPoint Template and Background with Coin columns with reverberation isolated on white"
"Microsoft PowerPoint Template and Background with dollar bill globe on the blue cloudy sky concept"
"Microsoft PowerPoint Template and Background with Money growth chart"
"Microsoft PowerPoint Template and Background with A lovely vector tree that grows money"
Presenting this set of slides with name - Yellow Shield Lock Money Icon With Blue Background. This is a four stage process. The stages in this process are Bank Fraud, Stolen Money, Reimburse Money. "Microsoft PowerPoint Template and Background with Climbing hand on gold coin staircase isolated on white". "Microsoft PowerPoint Template and Background with Plant rising from a pile of golden coins - conceptual image for profit investments success and finances"
"Microsoft PowerPoint Template and Background with the rendered of some money sacks and the word success"
"Microsoft PowerPoint Template and Background with Financial or economic metaphor"
"Microsoft PowerPoint Template and Background with Coins and plant isolated on white background"
"Microsoft PowerPoint Template and Background with stock market money concept"
"Microsoft PowerPoint Template and Background with money and stock market"
"Microsoft PowerPoint Template and Background with broken money wall world financial crisis allegory"
"Microsoft PowerPoint Template and Background with paper people made of money with blue sky"
"Microsoft PowerPoint Template and Background with time is money aphorism concept"
"Microsoft PowerPoint Template and Background with partnership on money"
"Microsoft PowerPoint Template and Background with tax money"
"Microsoft PowerPoint Template and Background with balancing gold dollar money"
"Microsoft PowerPoint Template and Background with gold guy with wheelbarrow full of money"
"Microsoft PowerPoint Template and Background with profit concept in business and money"
"Microsoft PowerPoint Template and Background with different economic terms in black and white success and money concept"
"Microsoft PowerPoint Template and Background with business concept "
"Microsoft PowerPoint Template and Background with collage of gold and old coins"
"Microsoft PowerPoint Template and Background with blank paper airplanes following a paper airplane from dollar"
"Microsoft PowerPoint Template and Background with of financial freedom sign post against blue background"
Microsoft PowerPoint Template and Background with dollar grows and large money begin with small"
"Microsoft PowerPoint Template and Background with yen dollar euro signs"
"Microsoft PowerPoint Template and Background with the symbolic bank"